The Hollywood Animation Film Festival is currently accepting entries for the annual film festival. It’s a competitive film festival that highlights both domestic and international animated films. Selected animated films compete in the festival’s main competition. For more info, visit www.hollywoodawards.com. Each year the Librarian of Congress, with advice from the National Film Preservation Board, names 25 films to the National Film Registry to be preserved for all time. The films are chosen because they are â€œculturally, historically or aestheticallyâ€ significant. This yearâ€™s selections bring to 475 the number of motion pictures in the registry. the Big Bad Wolfâ€ became a Depression-era anthem. Yet another award for Pixar’s Ratatouille has been awarded. This time it’s the fine folks over at RottenTomatoes who have placed Ratatouille in 13th place in their annual Top 20 Best of the Year list. IFC has named their Five Best Directorial Debuts of 2007 and one of them is Persepolis’ director, Marjane Satrapi. Satrapi’s film isn’t just a faithful adaptation but an energized improvement of its source material, lending the author’s personal saga of oppression and exile an aesthetic fluidity and vitality that few animated efforts, of this year or any other, can match. Disney will return to its 2D roots with The Princess and the Frog, a fairy tale about a young girl, Princess Tiana, who lives in the French Quarter of New Orleans during the jazz age. 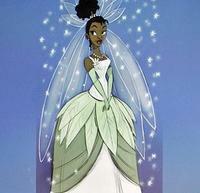 Princess Tiana will be Disney’s first African-American princess, joining the princesses we all know such as Sleeping Beauty and Cinderella. 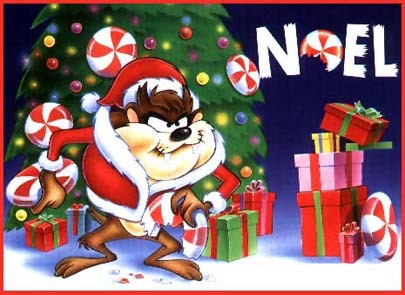 I would to personally wish each and every one of you a very Merry Christmas (or Happy Holidays if you don’t celebrate Christmas). I want to thank you all for such a great year. Here’s to me writing another Merry Christmas post next year! Now go have some fun with your family and friends and remember, don’t drink and drive because real life isn’t a Road Runner cartoon! 12/24/2007 | Miscellaneous | Comments Off on Merry Christmas! The Animation Blog reaches 300th post milestone! The milestones just keep on coming. It seems like only yesterday I was typing up the “200th post milestone” post and now here I am… 300th post! Not bad for only 10 months and one person running the entire blog. I want to thank each and every visitor who comes to TheAnimationBlog.com. Please continue to visit and I’ll continue to write. Subscribe to the RSS feed and spread the word to your friends! Once again, thank you! I couldn’t have asked for a better Christmas gift! 12/24/2007 | Miscellaneous | Comments Off on The Animation Blog reaches 300th post milestone! Wall-E trailer during Super Bowl? If there’s a time that movie studios want to advertise their films, it’s during the Super Bowl, one of, if not the most watched broadcast of the year. 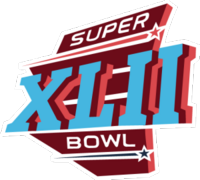 So it’s no surprise that the majority of studios will air ads during Super Bowl XLII, which airs February 3, 2008 on FOX. Ads don’t come cheap though. A 30 second ad sets back the studios between $2.7~$3 million dollars! 12/24/2007 | Films | Comments Off on Wall-E trailer during Super Bowl? Toy Story 2 has finally been added to the iTunes store, thus completing the collection of Pixar movies. The movie will set you back $14.99 with a file size of 1.03 GB. For those who don’t want to download it and would prefer a DVD, you can find it at any retailer for $19.99. The movie will hit theaters on January 11, 2008. RottenTomatoes.com has an interview with Marjane Satrapi (director) on Persepolis with exclusive clips and photos. RottenTomatoes: Persepolis and Ratatouille are the favorites for being nominated and winning the Animation Oscar and it’s interesting that they’re both, in one way or another, connected to French culture. Have you seen Ratatouille? Marjane: Yes, it’s a nice one. I really like it a lot. I watched it with two kids and they were so excited. I was more excited by their excitement.